One year on from the debut of the Switch, the release of the Bayonetta series as a bundle makes for another must-buy on the hybrid console. While isn’t much that is noticeably different about the rerelease, it’s the perfect chance to sink your teeth into another adventure if you missed out the first time around. For anyone who hasn’t experienced Bayonetta 1&2, this is an opportunity to get to grips with two stylish stories that translate well on the smaller screen. The first was available on multiple platforms, but the decision to stick with the Wii U for the 2014 sequel meant that it was unavailable to most gamers. Sales were reasonably disappointing, and it was forgotten despite receiving numerous Game of the Year nominations. If you’re coming in blind, it’s a hack-and-slash game where you fight demons, but it’s more complex than that. As the witch Bayonetta, you’re taken through an insane story, with everything from the levels to the enemies sure to raise both eyebrows and heart rates consistently. Bayonetta is an expert fighter, and one of the last of her kind. The story doesn’t make much sense without reading guides and watching videos afterwards, but it’s all about the gameplay and the overall aesthetic. You’ll be flying around the battlefield in no time, chaining attacks against giant enemies at a relentless pace. Obtaining new weapons and skills will help to improve your capabilities, and there’s a lot of scope in terms of customisation. A display of 720p is the same as you’ll find with the originals, although both run at 60fps whether the console is docked or being used in handheld mode. This means that it looks great either way, while you’ll never suffer from any issues relating to performance. Controls are actually improved, making use of the layout of the Switch and the increased framerate. It makes combat more satisfying no matter how you prefer to play, and you won’t be able to blame anything other than yourself for missing combos. As a two-for-one package, it’s great value, and it’s hard to find any flaws. Each game should take about 10 hours to complete, and there’s a co-op mode that can be accessed locally as long as you have two copies. Amiibo support allows you to unlock a range of new outfits and items, including in-game consumables and Nintendo themed costumes. Aside from the above, that’s your lot in terms of improvements. Unfortunately, you’ll only get the physical edition of the second game if you get it in store, with the first available as a digital download. 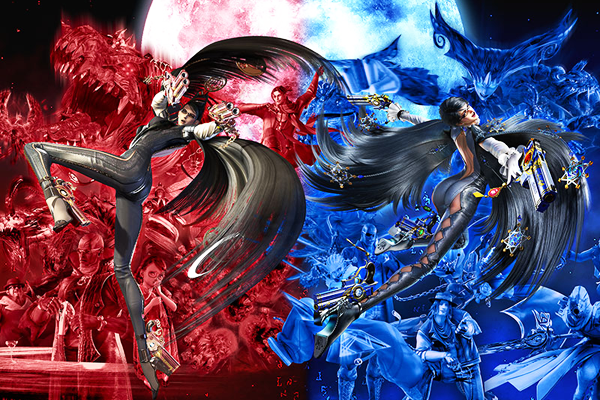 If you’ve seen it all before, Bayonetta probably isn’t worth going over once again. There hasn’t been much added to the overall package, although it is pretty unique when you look at the rest of the Switch’s catalogue. It’s hard to get excited about yet another rerelease, but this one does deserve another chance. As a spiritual successor to Devil May Cry, it stands up to the test of time, and it’s deserves most of the praise being heaped on it by the majority of games media. There’s also the matter of a third in the series, currently in development exclusively for the Switch. Finishing off the first couple is the perfect way to prepare for another round of mayhem, although there’s no release date pencilled in as of yet.